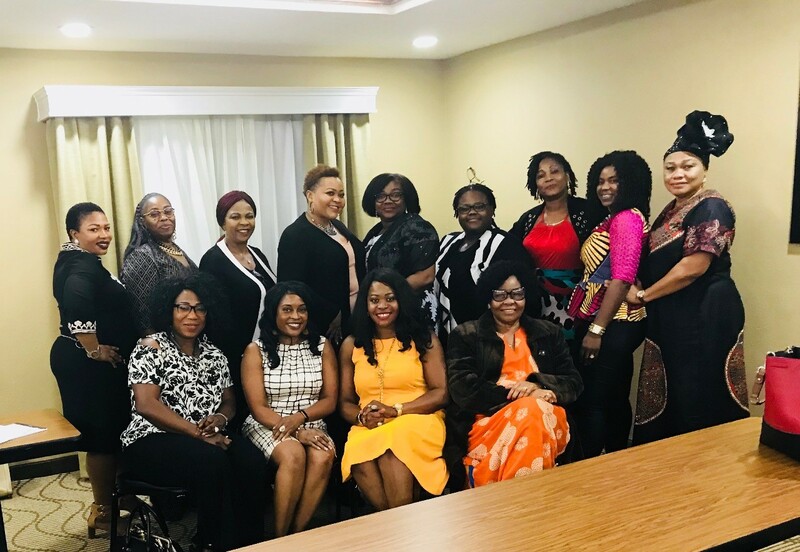 The Association of Nigerian Women Entrepreneurs and Professionals in the USA, ANWEP-USA is a 501(c)3 non profit tax exempt organization whose mission is to empower women to become impactful leaders by forming strategic partnerships to tackle issues that confront women, girls and children in our society. We envision a world in which Nigerian women are role models and champions of change in their lives and society. ANWEP has been empowering girls age 12 and up in DFW since 2017 by offering mentoring, social activities, volunteerism & scholarships. Our “Empower Girls in STEM” program gives underrepresented groups, particularly girls and women, a window into STEM careers and builds a network of support and ongoing mentorship for students who are interested in studying and practicing STEM. Our organization is engaged with our home communities in order to leverage the talents we have to the benefit of local students and underprivileged young women. We know that role models and mentors help young women visualize themselves as STEM Professionals and future leaders which is why our mentoring efforts not only provide successful role models for future women in STEM, but also showcase the range of opportunities a STEM education makes possible. ANWEP recognizes that female education is a crucial component to poverty alleviation and investing in girls’ education also helps delay early marriage and parenthood. It is ANWEP’s goal to increase the number of women in STEM through our mentorship efforts and our career-focused programs and initiatives. But we can’t do it alone. We need your support, donate or join ANWEP today. Together, we are stronger, and together, we will support policies and programs which seek to increase the participation of women and underrepresented minorities in STEM. Our fundraising efforts enables us to provide temporary shelters for young mothers in Dallas and Denton Counties who are victims of domestic violence. We have opened a channel of communication for women who are battered to reach out for help by organizing workshops and outreach programs to spread awareness on domestic violence and the abuse of women and children in our community. Our counseling services and training are designed to help victims become socially and economically autonomous. I know it’s hard to do, but can you imagine what it would be like if you lost a family member to domestic violence? Think of how your world would change if you suddenly lost your parent, your child, your sibling. Sadly, many families in our community are facing this emotionally devastating reality, and many have no access to the help they need to cope and heal. Your donation will help to make our community healthier. Your gift enables us to better serve individuals and families who have been affected by violence. Your support sends a powerful message to survivors that they are not alone and that they have friends they’ve never met to assist them on their journey to safety and independence. The ultimate aim of this association is to encourage and train significant numbers of women for informed leadership positions that will ultimately promote a progressive development agenda. This we can accomplish by Initiating a forum for Nigerian women to meet and build alliances for individual and professional growth by organizing leadership and entrepreneurial workshops through annual professional conferences and business summits. We live in a society that puts women on the back burner and as a result, most women and young girls do not reach their full potential professionally. It is our goal to mentor and empower women to reach their full potential as strong leaders and role models to our younger generations.